American Brad Washburn's impact on his protégés and imitators was as profound as that of any other adventurer in the twentieth century. Unquestionably regarded as the greatest mountaineer in Alaskan history and as one of the finest mountain photographers of all time, Washburn transformed American attitudes toward wilderness and revolutionized the art of mountaineering and exploration in the great ranges. In The Last of His Kind, National Geographic Adventure contributing editor David Roberts goes beyond conventional biography to reveal the essence of this man through the prism of his extraordinary exploits from New England to Chamonix, and from the Himalayas to the Yukon. 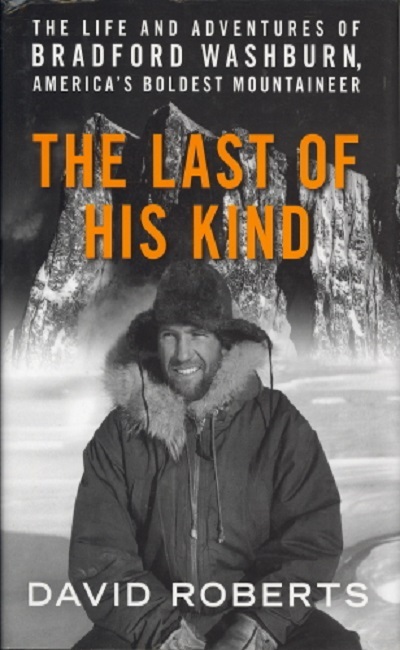 An exciting narrative of mountain climbing in the twentieth century, The Last of His Kind brings into focus Washburn's deeds in the context of the history of mountaineering, and provides a fascinating look at an amazing culture and the influential icon who shaped it.